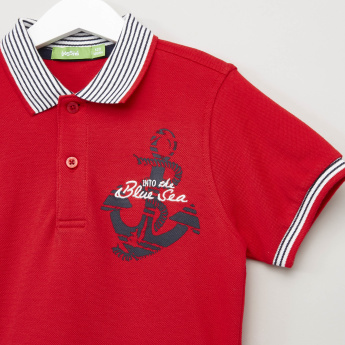 An attractive anchor print and short sleeves make this polo neck t-shirt quite appealing. The soft fabric will ensure that your boy stays comfortable throughout the wear. 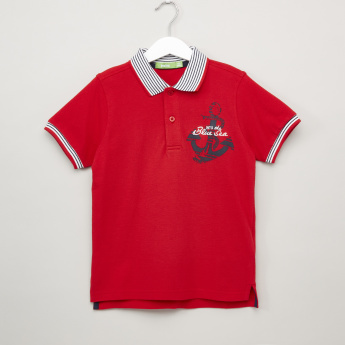 Team this t-shirt with any casual pants and a pair of sneakers for that outstanding look. Bossini size measurements differ from other brands. Please check the size guide for reference.